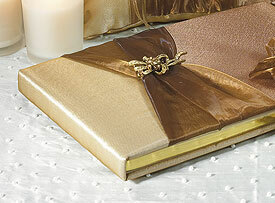 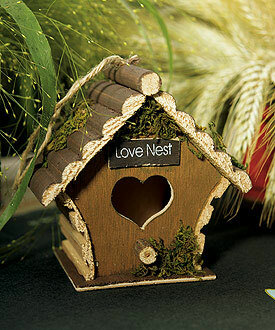 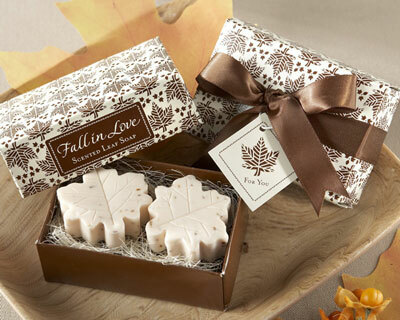 "a look at what fall wedding items will make the grade this year"..
Kate Aspen Autumn Elegance favour boxes, from Bridalicious! 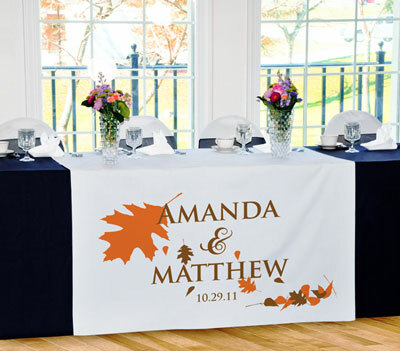 While we are still basking in the warm summer sunshine, Fall is really just around the corner and with that in mind, let's take a look at what fall wedding items will make the grade this year. 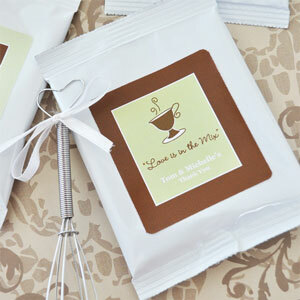 Personalizing your favours is always a nice touch. 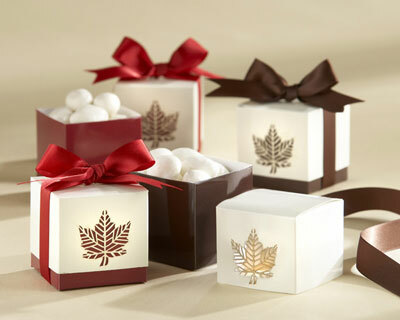 Along with the more traditional items, this fall, glassware will be a very popular choice for wedding favours. 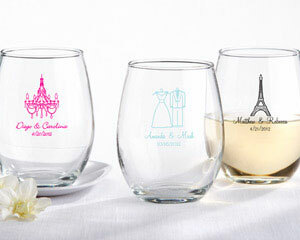 Champagne flutes, shot glasses and stem-less wine glasses are all excellent choices in keeping with what's in style. 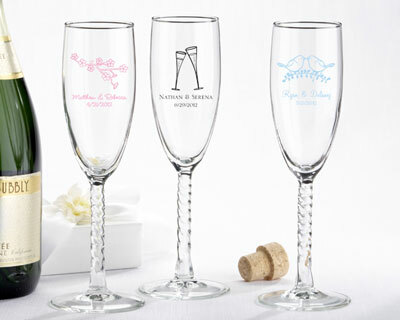 Champagne Flutes? 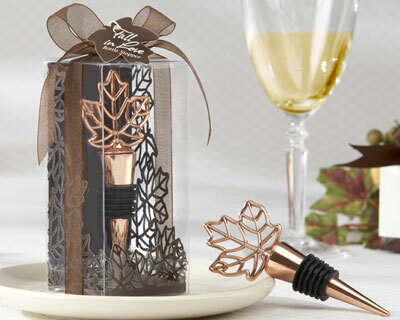 Personalise them with your Fall Theme..
like these stemless wine glasses from Bridalicious! 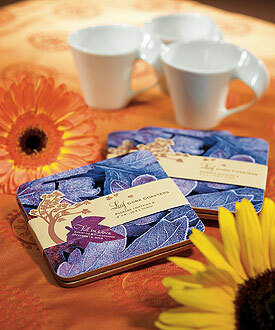 Mm... hot capuccino, for those Fall evenings..
Any fall leaf design, along with your personalization, is always a perfect choice..
Can't get enough of fall wedding themes? 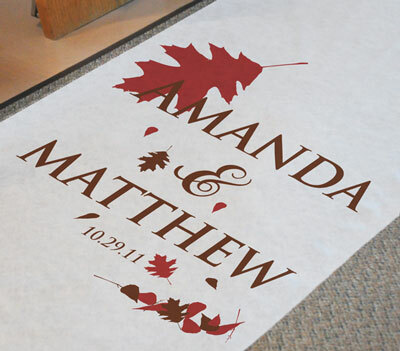 Here are some decor product options to complete your fall wedding..
Personalised Fall wedding head-table Runner..
Add some seasonal flowers to really make this topper pop! 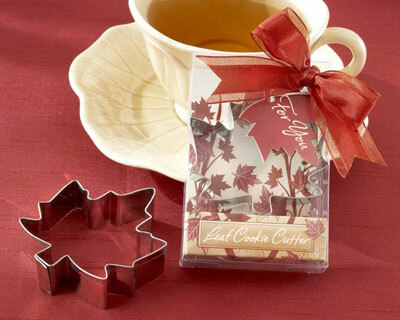 A perfect addition to a fall centrepiece! 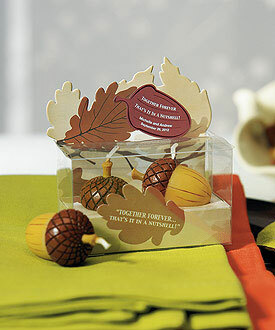 Fall is a great time of year to look at our surroundings for inspiration. 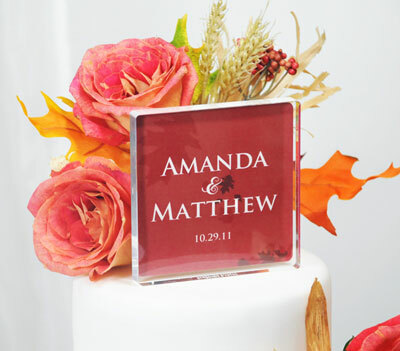 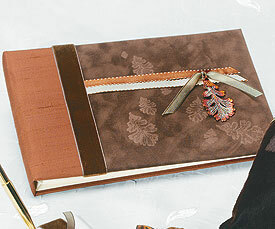 Great colours accompanied by nature's best make planning a fall wedding super-easy!